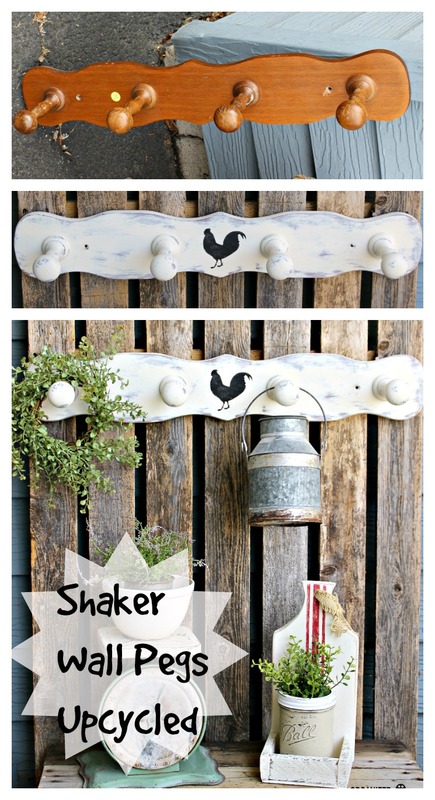 This shaker style, shaker peg, coat rack was one of my garage sale finds this season. I think it was 50 cents. 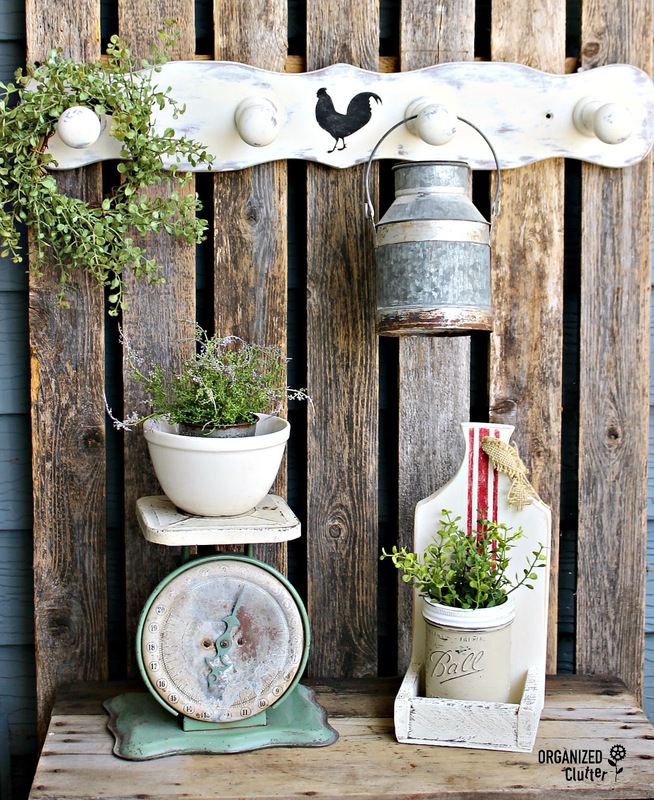 This was such an easy upcycle. I painted the wall hooks with two coats of Rust-Oleum Chalked Ultra Matte Paint in Chiffon Cream . I wet distressed the piece with a damp rag. 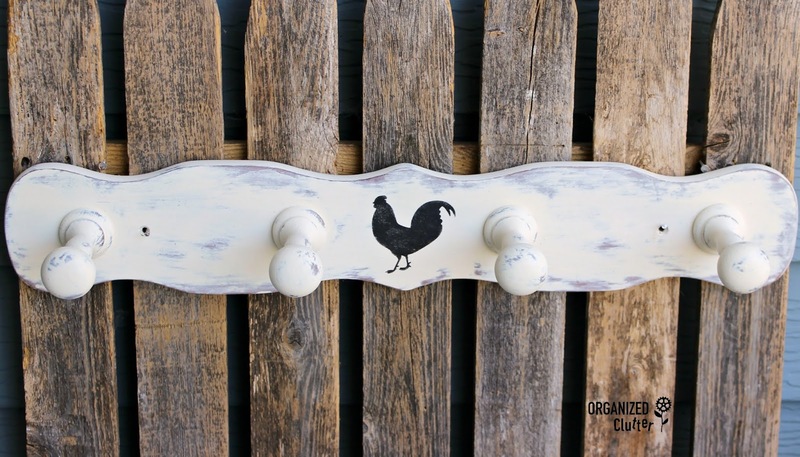 I pulled out a very inexpensive Hobby Lobby farmhouse stencil to add a rooster to the center of the wall pegs. 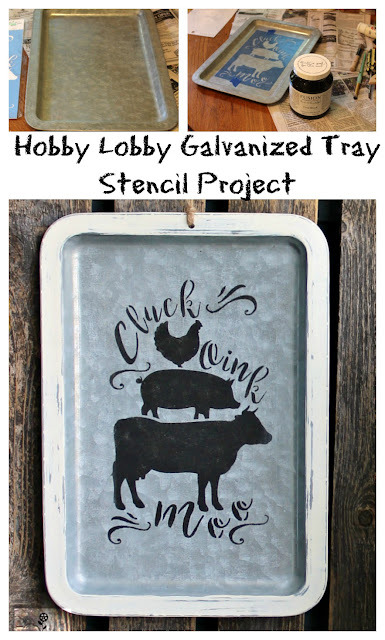 I used Fusion Mineral Paint in Coal Black to stencil only the rooster from the Hobby Lobby feed sack stencil. 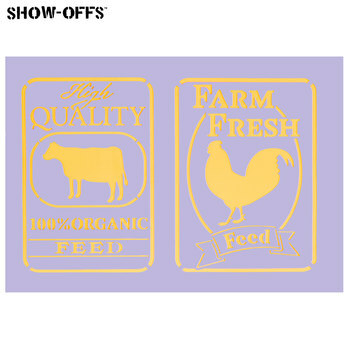 I sealed my Chalked paint and rooster stencil with Krylon Clear Coatings Aerosol in Satin Finish . The hooks are fun in a farmhouse kitchen for displaying vintage utensils, aprons, towels, or faux greenery. A great buy at 50 cents! 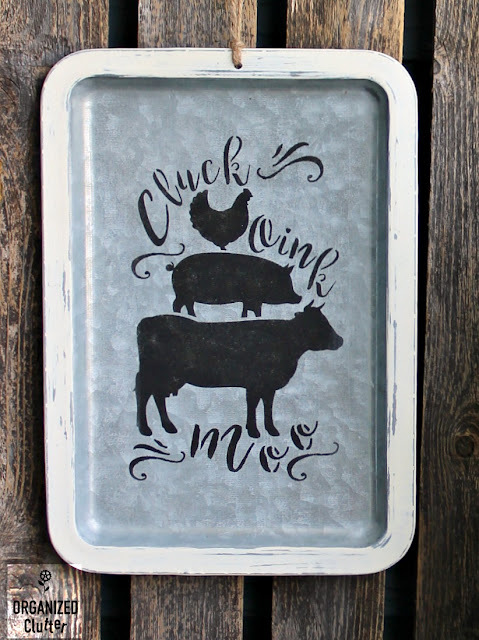 I purchased this stencil Cluck, Oink, Moo stencil from Hobby Lobby too. 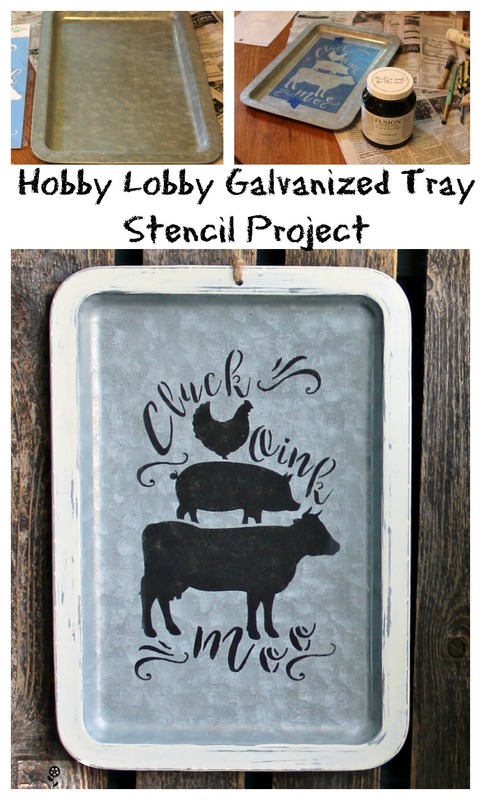 The galvanized tray is from Hobby Lobby as well, from the Spring Shop Collection. I purchased it in the store for 50% off or about $3.50. I taped my stencil on the tray with blue painter's tape and pounced on the stencil with Fusion Mineral Paint in Coal Black. (Amazon link in previous project). I painted the "frame" with Chalked Paint in Chiffon Cream with a sponge brush, then sanded the Chalked Paint with 220 grit sandpaper. The stencil and Chalked Paint were sealed with the Krylon sealer above. 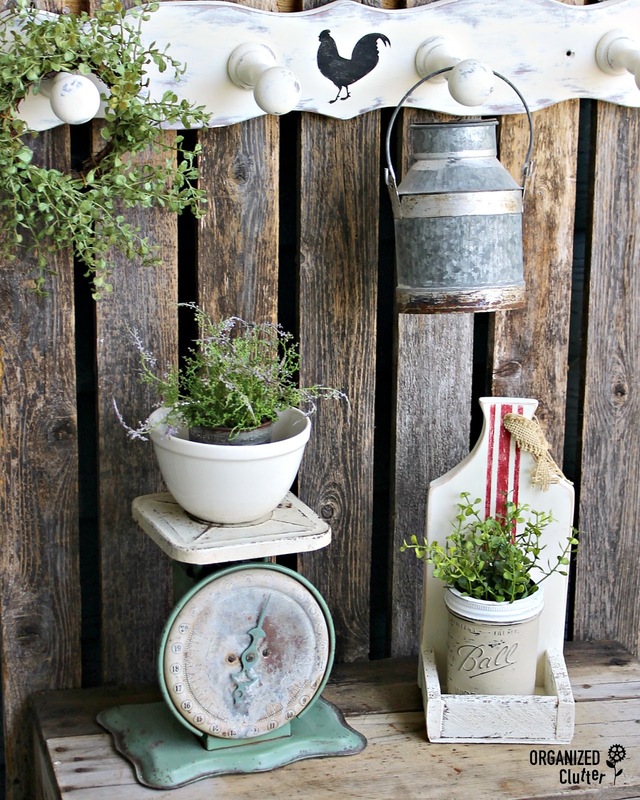 To finish off the project, I drilled a hole at the top of the tray and tied on a jute hanger. 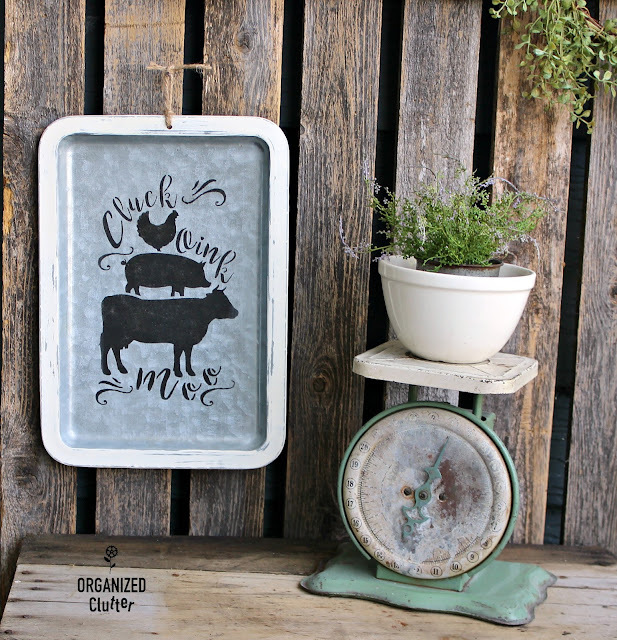 It's a fun kitchen sign! Easy stenciled and chalk painted projects for you to try! Perfectly wonderful! :) Thank you for the links as well. Your projects always inspire me! Thank you Carlene!